Can Condominiums Be Organized As LLCs? As a developer of a condominium complex, you may decide to form an LLC with other investors for the purpose of constructing the complex and selling units. You may choose to operate your LLC in a similar manner to a partnership and there may be tax advantages over a corporate structure. When it comes time to organize the condominium owners association, however, state law may dictate that the association be formed as a corporation. Your development LLC will purchase the property, make arrangements for the construction loan if necessary, hire engineers, contractors and meet with the city or county planning commission to begin planning the subsequent construction of the complex. Once all units have sold and your development LLC no longer owns units or development rights, you, along with other members, may choose to dissolve the LLC. Many, if not all, states have adopted some form of a uniform condominium act. Most states provide that the owners associations be formed as profit or non-profit corporations before the first unit in the complex is sold, which preclude their organization as LLCs under state law. The corporate structure may be more advantageous even if formation as an LLC were possible, due to the large number of unit owners in a complex. The formal structure of a corporation, which entails organizational meetings, rules, regulations and bylaws, is typically more suited to management of a large complex. As long as the condominium exists, so will the owners association, and corporations are often viewed as a permanent business structure capable of handling long-term management projects. Before many states adopted their uniform condominium acts, their old acts did not dictate that owners associations be formed as corporations. Many older associations were unincorporated and some may remain so today, as most state laws did not require that older associations incorporate with passage of the act. The association’s attorney, however, may recommend converting to an incorporated association to take advantage of the liability protection afforded to individual officers and shareholders under the corporate structure. 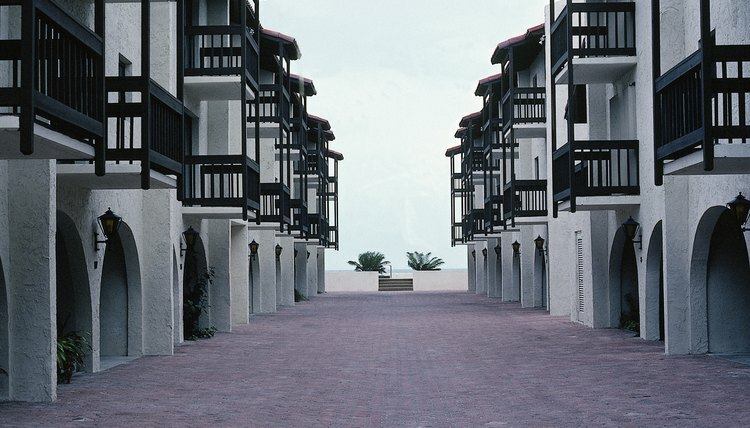 Some types of condominiums may be excluded from a state's condominium act. For instance, Alabama’s uniform condominium act may exclude condominiums consisting of less than four units from the act’s requirements, provided there are no developer rights reserved and the declaration of condominium does not submit the property to the act. Seek the advice of an attorney if this exclusion applies for laws and regulations regarding formation of a management LLC to manage a small complex. Washington State Legislature, RCW 64.34.300: Unit owners' association — Organization. Miller Nash: Heads I Win, Tails You Lose: Should Developers Dissolve Their LLCs After Completing a Project?